Jen and Don had a special fall wedding at the Summerhill Pyramid Winery in the Okanagan Valley. 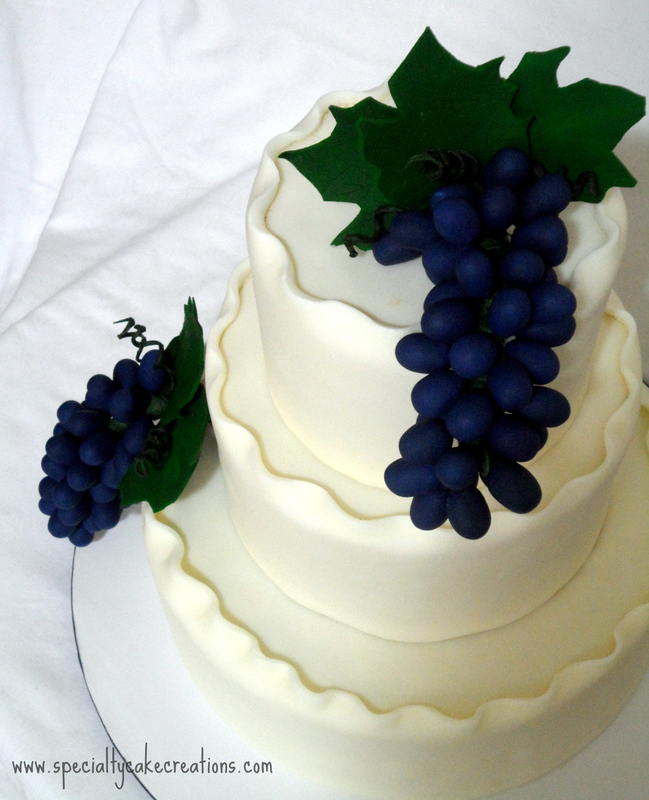 Fitting the season and location they decided on purple-blue fondant grape vines to decorate their three tiered wedding cake. 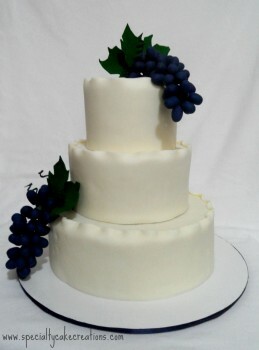 The cake was covered in ivory fondant with ruffled edges. 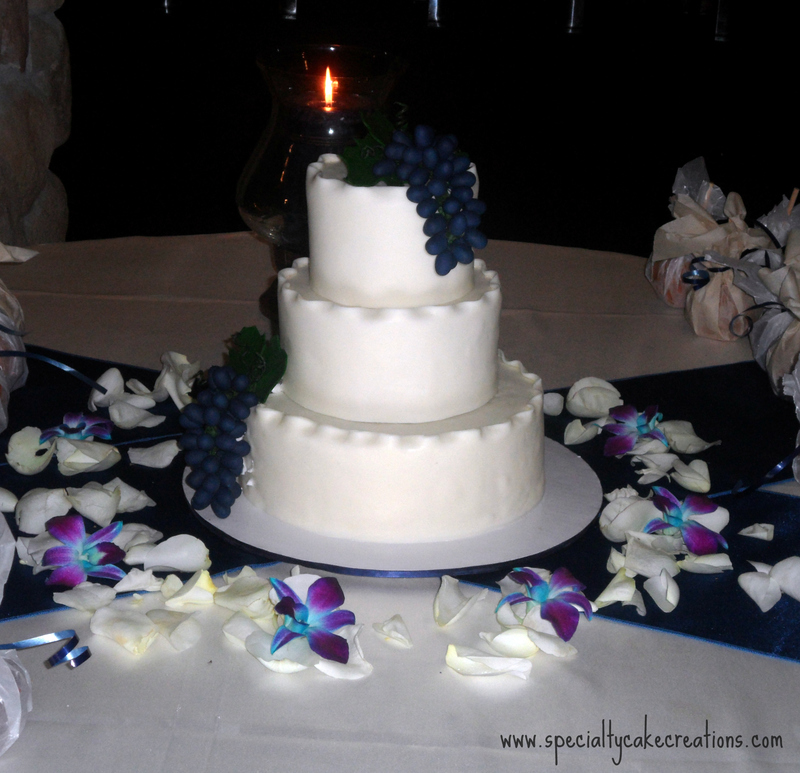 The cake flavors were red velvet with cream cheese, lemon poppy-seed with vanilla, and hazelnut with hazelnut buttercream. The cake turned out FANTASTIC!!! You did such an amazing job at capturing exactly what we wanted. Our guests still talk about how tasty it was to this day. I like Flowers in their natural colours.. Absolutely breath-taking. I love fondant decorations!